Head of Middle School Michael McLaughlin has had a productive spring. Recently certified as a National Geographic Educator, Michael joins a worldwide network of educators who focus their attention and efforts into developing students into global thinkers. As we begin the next academic year, Austin Prep, thanks to Michael, will be connected with a global community of educators committed to inspiring the next generation of changemakers. Earlier this month, I also received a letter from the Sophia Institute for Teachers, a division of Sophia Institute Free Press a nonprofit organization which serves Catholic educators through free professional development. 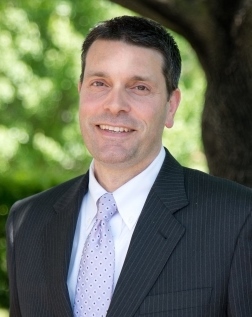 Since 2014, Michael has been a member of the Teacher Advisory Council and has authored several lessons and curricula that are being used in more than 6,000 classrooms across the United States, including Austin Prep’s Middle School beginning this fall. The Sophia Institute will be releasing an upcoming publication in their Infusing the Faith series to assist Catholic educators in presenting various topics through the lens of Church teaching and Michael authored more than half the book on the upcoming publication on World History.